This Sunday we welcome Dr. Hugh Burtner to our pulpit. 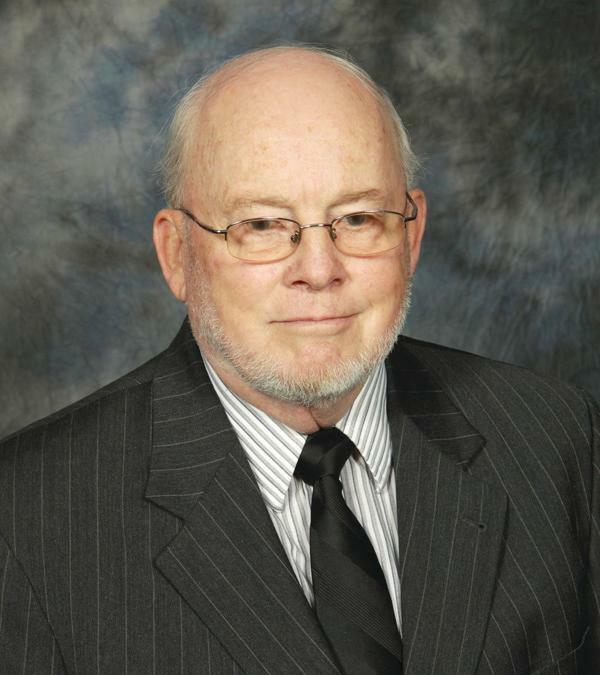 After completing his PhD at the University of Chicago, Dr. Burtner taught at Baldwin Wallace College in the Department of Religious Studies until retirement. He is ordained in the United Methodist Church and has been an affiliate member of the Church of the Covenant since 2004. 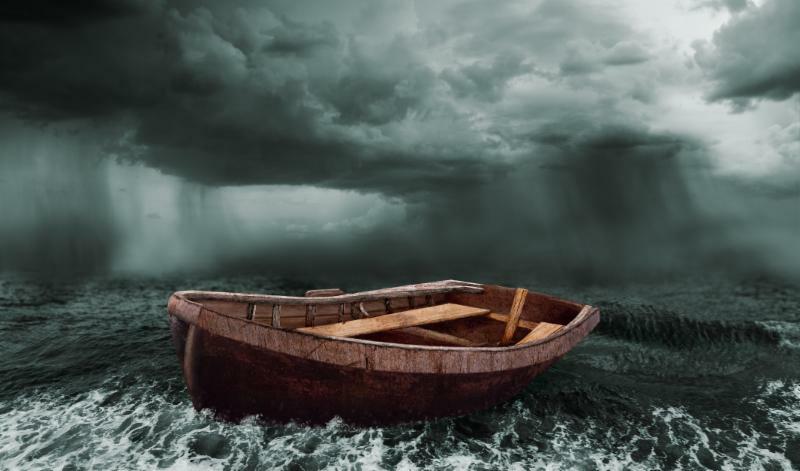 ﻿In the fourth week of Lent Dr. Burtner's sermon is entitled Boats and Weather . Scriptures are Psalm 77:16-20 and Matthew 14:22-30 . Our Lay Worship Leader is Norma Shuskey. 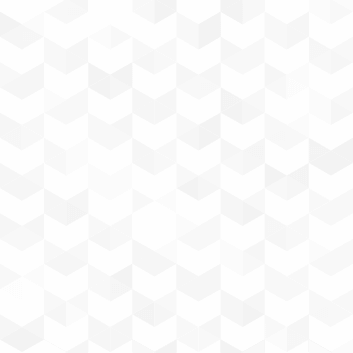 This week, our musical selections bring us to a crossroads in the middle of the Lenten season. The Gregorian chant text of Ubi caritas calls us to consider the ties that bind our faith community in agape love. The unison chant that opens our service is a literal translation of united spirit. Duruflé’s motet, on the contrary, illustrates the beauty of community created when we make music together through harmony. Continuing with the idea explored in the ongoing sermon series of Jesus’s many roles, our anthem hints at his faith activism. The phrase “God’s gonna trouble the water” is often used in social justice writings to illustrate disruption of power dynamics in an effort to create equity. The spiritual and the chant musical traditions speak to the many ways in which we are called to be disciples of our living God. ﻿﻿Youth Sunday is April 7th! You are invited THIS SUNDAY ! 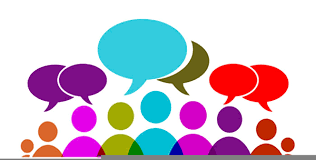 As a church that is ever transforming and evolving, Session invites you to participate in one of two Dialogue Sessions, either this Sunday or Saturday, April 13, 12:00–2:00 pm. Bill Appleton of Kairos Consultants will facilitate our conversations. Unable to attend one of these dates? Contact Clerk of Session Will Klein at Clerk@CovenantWeb.org to learn how you can participate. Good morning, my name is Dan Carroll and I’m here on behalf of the Interim Pastor Search Committee. The committee is hard at work reviewing candidates for our interim pastor to help us prepare for our church’s next chapter. We understand this is an anxious time for many of you - and we feel that with you, though we trust God is working through us all to guide us forward. In the feedback you gave us last month, one thing was crystal clear - there are SO MANY people who love this church and want to build on what makes it special. You asked for, among other things, strong preaching; a passion for social justice; clear communication; and someone who is a bridge builder. We want an interim who will help us respect the rich traditions and history of The Church of the Covenant, while also helping us discover opportunities for growth, so we can share our love with new members and communities. 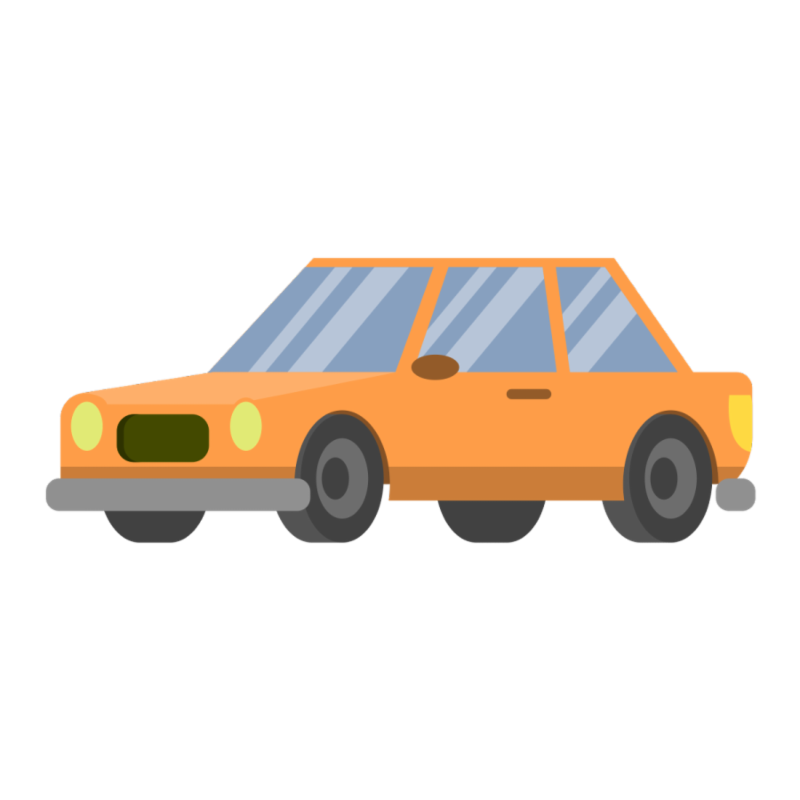 During this process, I have often thought of when I was learning to drive, and my driving instructor told me to not check my rear-view mirror so much, but rather check the side mirrors and focus on the road. Our committee WILL use the rear-view mirror to know where we come from, but we are also using our side mirrors to see what’s around us, and focusing on the road ahead to see what lies before us. We hope you’ll join us in keeping our eyes on the road, so we may not miss the future we can create together. Please continue to approach anyone on our committee with questions or comments. We will listen and do our best to answer as we are able. Thank you again for your continued prayers and support. We pray for Judy Bourne, Akeya Clark (Marie Jones's niece), Paul Dirksen, Gretchen Drushel, Rob Engel & Lynne Hoffman-Engel, :Lorna Kelly, Rolf (Crunch) and Marilyn Krotseng, Greg Madison, Shirley Roe-Stroup, Emily Carson Williams, and Gabriel (Jenny Conner's grand-nephew). We pray for those struggling with illness, convalescing, or homebound; patients, family, and staff in our surrounding hospitals; our Interim Pastor Search Committee, and those who have left prayer requests in our Carpenter's Box. Our prayers are with Alex Lowry and her family on the death of her uncle, Bob Lorentz, in Alabama. Kevin Lowry will be Friday through Tuesday. Please order your Easter Flowers by next Sunday, April 7. E ach Easter our Sanctuary is transformed by beautiful lilies and flowers given in memory or honor of a loved one. Order forms are available in the office or download by clicking here. Happy Birthday to Everyone Celebrating in April! Please let us know if we have omitted your birthday. 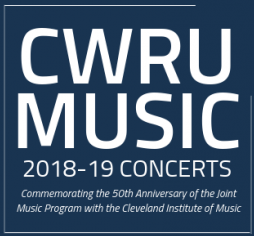 Congratulations to Dr. Matthew Garrett, associate professor of music education and coordinator of undergraduate studies in music and music education at CWRU, has been appointed director of the CWRU's University Center for Innovation in Teaching and Education (UCITE). 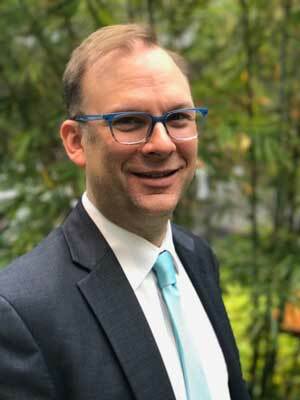 He has been serving as UCITE’s interim director since August, 2017. Bargains galore in our wonderful resale store! Come and shop. Meet our great Cache volunteers. Have your "tidied up with Marie Kondo"? 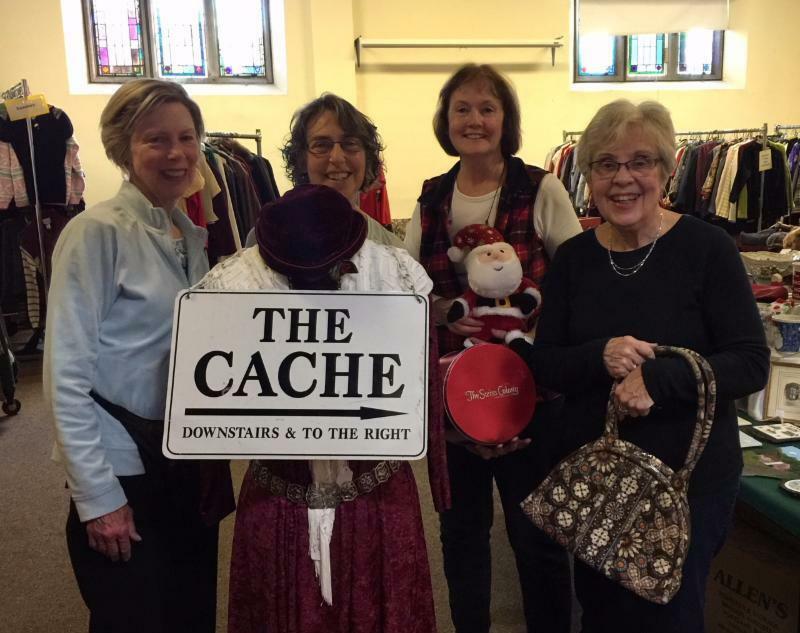 The Cache would welcome you gently used clothing or smaller household items. Liebe Grüße aus Lübeck! It is hard to believe that over a month has gone by since we made our journey to Lübeck, and an adventurous journey it was, navigating border control in between flights in Charles de Gaulle airport with all of our bags and just minutes to spare. 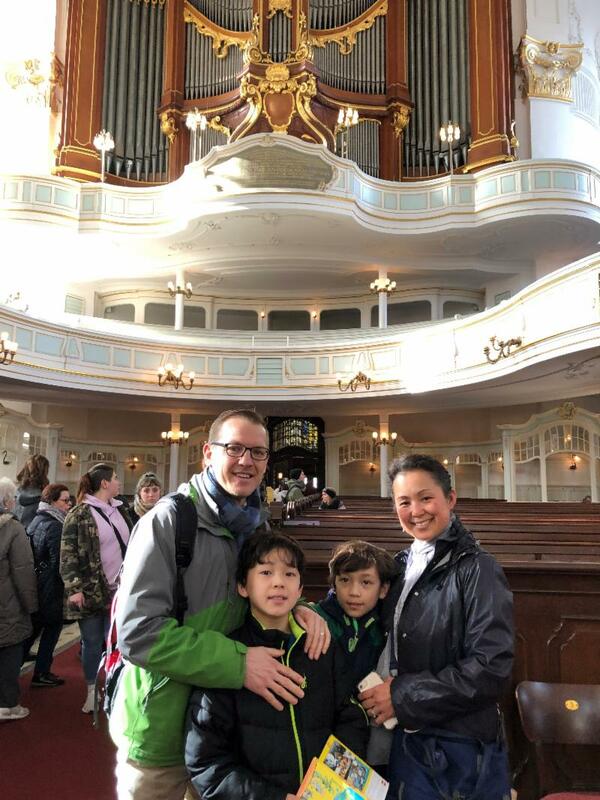 Eventually, we made our way to the cozy apartment we call home on Dr. Julius Leber Straße, just two blocks from the famous church of St. Mary's, the church in which Dieterich Buxtehude was organist for 49 years and where a young Johann Sebastian Bach came to learn from this master in 1705. . . .
Sabbaticals journeys like this provide us the opportunity to reflect on our lives, the people we cherish, and our calling. We are continually reminded how blessed we are to call Cleveland home and the Covenant congregation our family. We send you our warmest greetings, prayers, and blessings from afar. 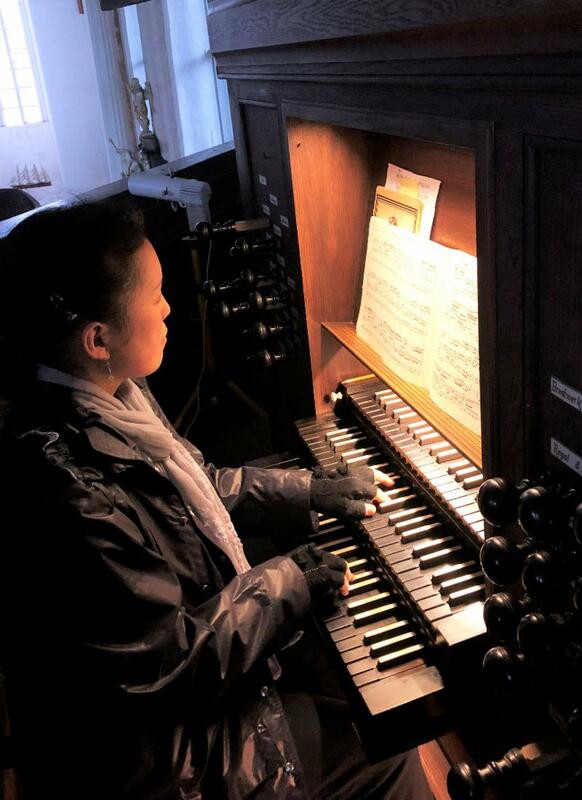 Kaori on the "Stellwagen" organ from 1637. 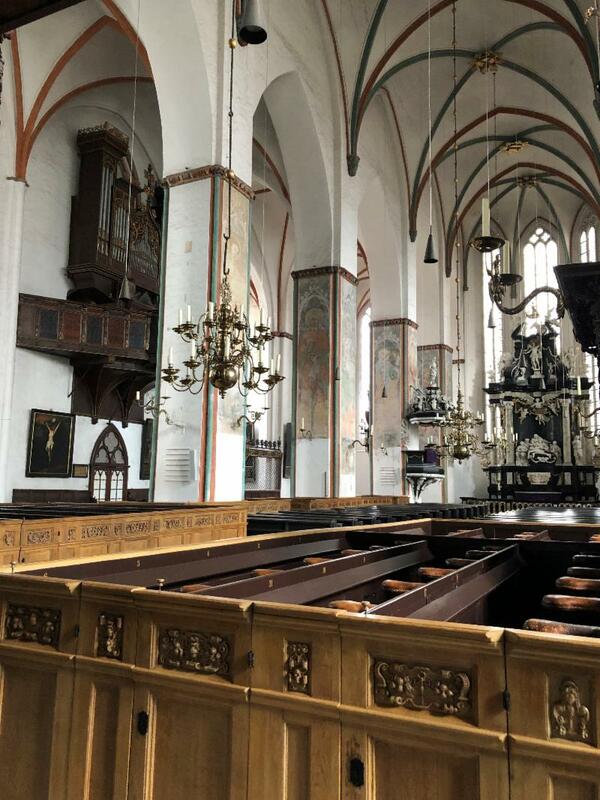 The sanctuary of St. Jakobi (13th century) with the Stellwagen organ on the side wall. 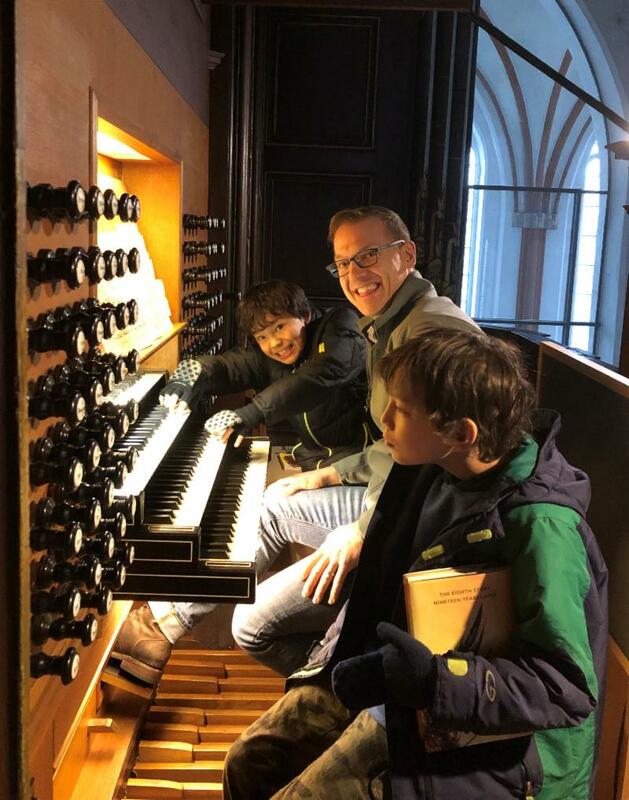 Jonathan and the boys at the large organ of St. Jakobi. 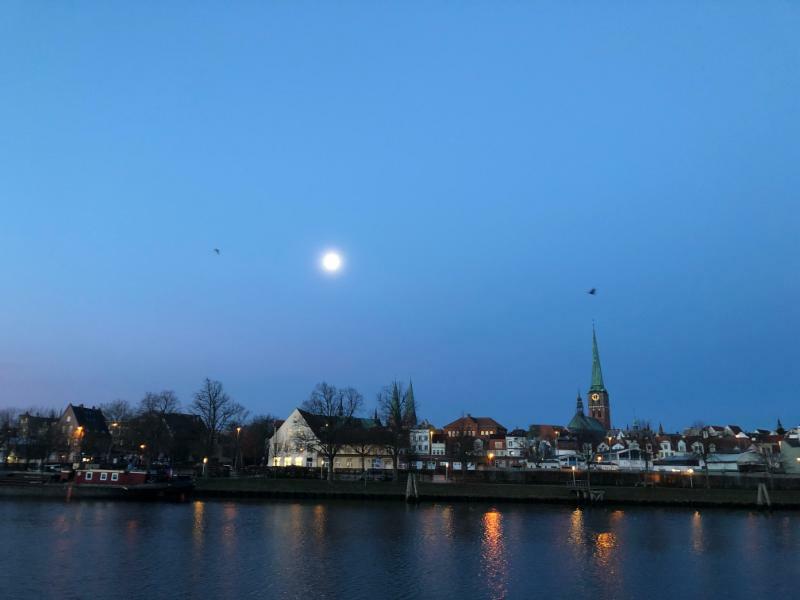 The skyline of Lübeck in the early morning with the tower of St. Jakobi. After the Friday noon prayer service in St. Michael's Church, Hamburg. 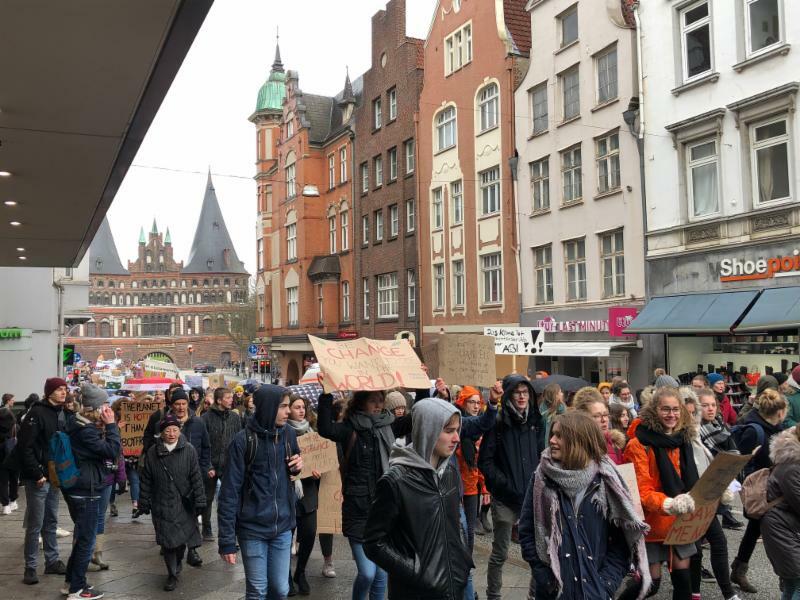 Friday children and youth protest for the environment. Dinner, discussion and communion continue on Wednesdays during Lent, using Marcus Borg’s book Meeting Jesus Again for the First Time and Yasmin Khan’s Zaitoun Recipes and Stories from the Palestinian Kitchen as our guide . Marcus Borg’s book is available in the office for $14. RSVP by Tuesday to KLowry@CovenantWeb.org so we can get a count for dinner. All are free with free parking in the Covenant parking lot..
A few open spaces remain! 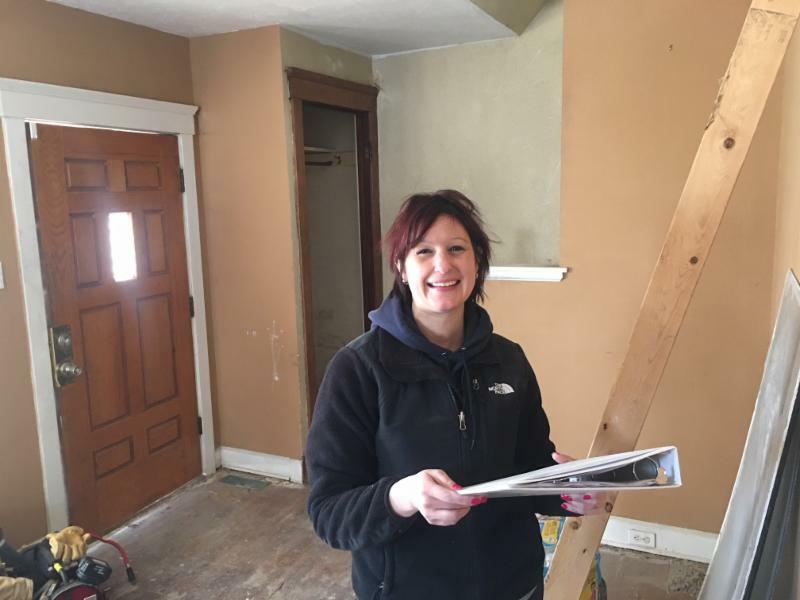 This year we will be working to rehab two houses in the Clark-Fulton neighborhood on the west side of Cleveland. Please sign up in the church office to work on the houses, or provide a group lunch. Talk with Jim Prince for more information. 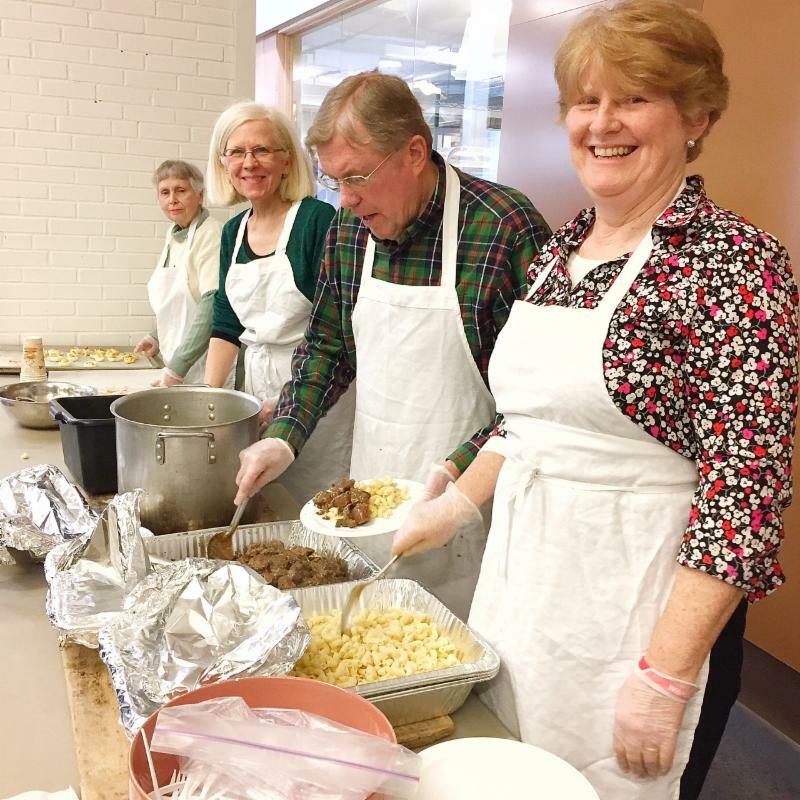 You are invited to be part of a team of six to eight people on April 7 and April 14 from 9:30 a.m. to 1:00 p.m. to assist in preparing and serving the community meal that follows their worship service. Please sign up in the Church office. Renee Boykin and Gale Bromelmeier have worked closely with North Church. For more information, contact Ministry of Service member Bob Ault.